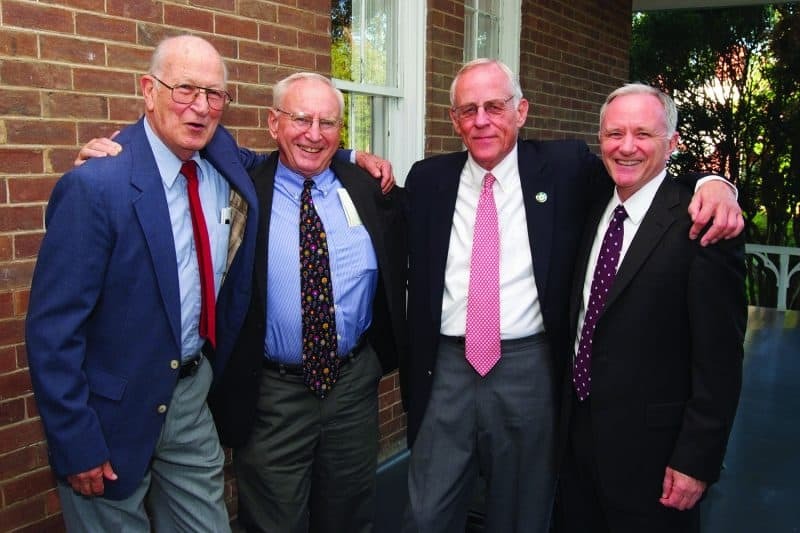 Lew John ’58, W&L Professor of Politics Emeritus, Dies at 80 During his 43 years at W&L, John also served as dean of students and director of financial aid. Lewis George John, professor of politics emeritus at Washington and Lee University, died on Nov. 6, 2017, in Lexington. He was 80. 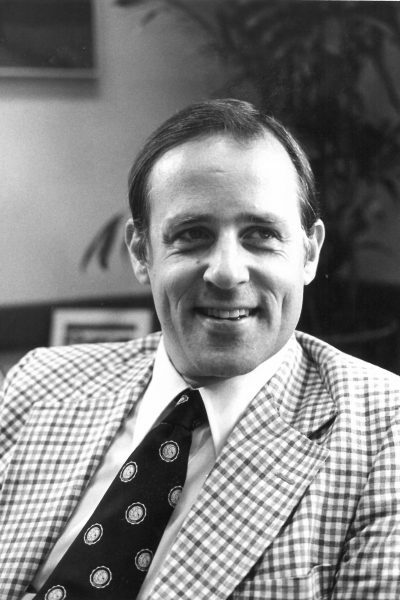 During his 43 years at W&L, John, a 1958 graduate of the university, also served as dean of students and director of financial aid. John was born on Nov. 25, 1936, in Waco, Texas, and grew up in Olean, New York. He held a B.A. in economics from Washington and Lee (1958), an M.P.A. from Princeton University (1961), and a Ph.D. in social science from Syracuse University (1973). He studied at Syracuse under a Lehman Graduate Fellowship for outstanding graduate students, while on a leave of absence from W&L. He studied political economy at the University of Edinburgh as a Fulbright Scholar from 1958 to 1959, and from 1959 to 1960 was a Woodrow Wilson Fellow at Princeton. During his Princeton year, he worked as an executive trainee in the Office of the Secretary of the Defense in Washington, D.C. A graduate of ROTC, he served as a first lieutenant in the U.S. Army from 1961 to 1963, commanding the Nike Hercules Battery in Edgemont, Pennsylvania. John returned to his alma mater in 1963 as the assistant dean of students and director of financial aid. He served as dean of students from 1969 to 1990, when he turned to full-time teaching in the Williams School of Commerce, Economics, and Politics. He taught American government and public administration, and researched consumer protection for students. John’s W&L service included committees concerning admissions, financial aid, student affairs and lectures, coeducation, and the Shepherd Poverty Program. In 1992, he attended C-SPAN’s Seminar for Professors about using C-SPAN’s public affairs programming in the classroom and for research. Among his professional affiliations were the American Economic Association, the American Political Science Association, and the National Association of Student Personnel Administrators (NASPA). He served as the president of the Virginia Association of Student Personnel Administrators (VASPA) and received its Outstanding Professional Award in 1983. In 1982, he received NASPA’s Distinguished Service Award. He also served the Lexington community in many ways, including stints on the Lexington School Board (chair, 1980-1981); on the Joint Committee for Control of Lexington High School (chair, 1979-1980); on the Rockbridge Area Drug Council (chair, 1972-1975); and on the Planning District Drug Abuse Council. John belonged to the honor societies Phi Beta Kappa (academics), Omicron Delta Kappa (leadership), Omicron Delta Epsilon (economics), and Beta Gamma Sigma (business). John’s publications included contributions to two books, “The Fall of the Iron Lady, 1990” and “Legal Deskbook for College Administrators,” and to several journals, including the Virginia Association of Student Personnel Administrators’ Interchange, the National Association of Student Personnel Administrators Journal, and the Philippine Journal of Public Administration. During his student days at W&L, John belonged to Delta Upsilon social fraternity, and he received an award from the Washington Literary Society as a student who had contributed the most to the university. He was president of the Interfraternity Council and a dormitory counselor. Lew John is survived by his wife of 56 years, Annette Church John; his sons, Andrew John (Amy) and Christopher John ’86 (Jill); and five grandchildren, Kathryn, Michael, Jordan, Alexander and Kendall. A memorial service will be held on Saturday, Dec. 2, at 3 p.m., in Lee Chapel on the Washington and Lee campus, followed by a celebration of his life at Washington and Lee’s Evans Hall. The service will be broadcast on Livestream; you may watch it here: https://livestream.com/wlu/lew-john. In lieu of flowers, memorial gifts may be made to the Class of 1958 Lew & Annette John Honor Scholarship.